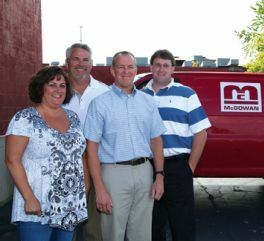 Get in Contact With Us : McGowan Electric Supply, Inc.
Pictured from Left to Right: Kelli Barron, Dean Krieghoff, Paul McGowan and Kevin Dobbin. Website Design by RjM. Website Hosted by Blue Sea Online.